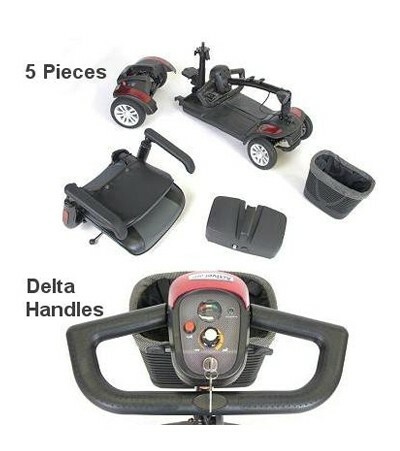 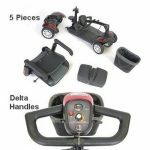 This is our 3 wheel portable that disassembles into 5 easy to manage pieces that fit's easily into the trunk of most vehicles. 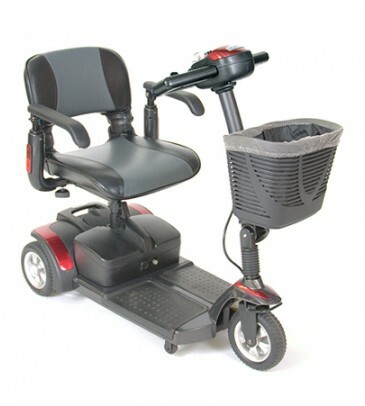 This scooter is ideal for light to medium use and good for the whole day at the theme parks (based on average customer use). 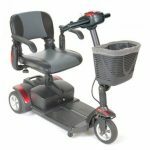 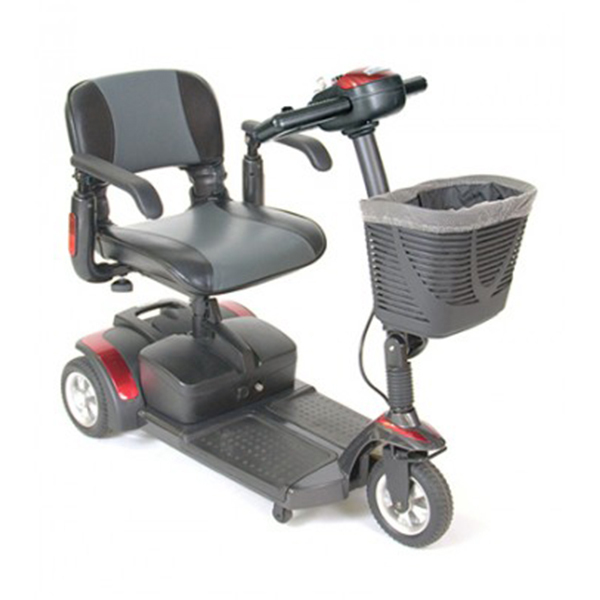 It has a large comfortable seat with adjustable arm rests, adjustable steering tiller, easy to operate left or right hand throttle controls, additional stability wheels on both sides, tight turning circle and the largest front basket in it's class.